The Saturday, February 20, 2016, two-hour e-conference, “Electricity Tariffs Hike Disputes: The Issues Within,” brought together the Trade Union Congress (TUC) Chairman, Rivers State Chapter, Mr. Chika Onuegbu, and the 11, 200 members of Spaces for Change’s Discussion Forum on Facebook, “under one roof” to interrogate the new tariff regime and reasons underlying the protests led by labour unions. Famed for leveraging digital technology to execute high-profile policy campaigns, this e-conference activity is one of the ways Spaces for Change| S4C uses crowd-sourcing techniques and internet-based tools to facilitate debate and public participation in the promotion, evaluation and setting of strategic policy directions in the Nigerian power sector. Chinedu Chiefsan and Victoria Ohaeri moderated the e-conference conversation. The strike was intended to draw the attention of the Federal Government (executive and legislature) to the illegal hike in power tariff by NERC, DISCOs, electricity generation companies (GENCOs) and the Transmission Company of Nigeria (TCN). 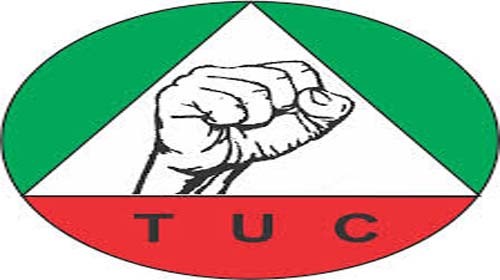 Labour’s core concerns are aptly drafted in a communiqué, jointly signed by the NLC President, Ayuba Wabba; President, TUC, Bobboi Kaigama; Coordinator, Electricity Consumer Protection Forum, Adeola Samuel-Ilori; a human rights activist, Toluwani Yemi-Adebiyi; and Publicity Secretary, Campaign for Democratic and Workers’ Rights, Chinedu Bosah . Breach of Law: Section 76 of the Electric Power Sector Reform Act, 2005, provides an elaborate consultative process before any tariff increase takes effect. By failing to follow this procedure NERC, the GenCos and DisCos are acting unlawfully and must be stopped. Contempt of Court: There is a subsisting court order dated May 28, 2015 by Justice Mohammed Idris of the Federal High Court, Ikoyi, Lagos, in the case of Toluwani Yemi-Adebiyi v. NERC & Others, that there shall be no further increment until the determination of the substantive suit. The implementation of increased tariff is therefore an act of lawlessness in a democracy. Breach of Privatization Undertakings: Most consumers are not metered in accordance with the signed privatisation Memorandum of Understanding (MoU) of November 1, 2013, which stipulates that within 18 months gestation period, all consumers are to be metered. Distribution companies have continued to exploit Nigerians using opaque estimated billing system for the majority of consumers whilst deliberately refusing to make available prepaid meters. Rip Off/Credibility Question: There is no correlation between the quality of service delivery and tariff. There has been no significant improvement in service delivery. In Apapa, where we represent over 2000 residents, our annual electricity bill is about N3.5 Million annually. When we include the cost of diesel and generator repairs, our electricity cost becomes even more outrageous. In 2015, we spent over N=50 Million on diesel and generator repairs. When again multiplied by 2000, it is over a N100Billion annually. Insensitivity: The increment at this time negates the present biting and prevailing economic recession which has adversely reduced the purchasing power of ordinary Nigerians and slowed down businesses, including manufacturing. The current hike is not only insensitive, but unjustifiable. It cannot stand. How Not to Create Wealth: The increment is a clear negation of the current government’s drive to create wealth through entrepreneurship. By raising the bar in accessing electricity, small businesses are being technically driven away. How can we create wealth when doing business in Nigeria continues to remain a nightmare?